While growing up in Fort Fairfield, Jordan Sirois, now a senior at Becker College in Worcester, Massachusetts, loved animals and even pretended to perform surgery on her stuffed animal toys. FORT FAIRFIELD, Maine — While growing up in Fort Fairfield, Jordan Sirois, now a senior at Becker College in Worcester, Massachusetts, loved animals and even pretended to perform surgery on her stuffed animal toys. These days, Sirois has used that passion to pursue her dreams and, most recently, participate in a study abroad experience that helped expand her knowledge and goals. For two weeks this past summer, Sirois took part in her second trip with Loop Abroad, a Massachusetts-based program that brings veterinary students to various parts of the world to practice their skills and learn about the veterinary techniques of different cultures. 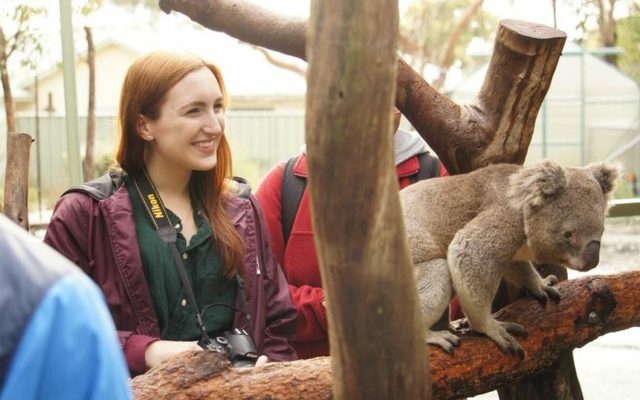 In her latest adventure, she and other students from the U.S. and Canada as well as four U.S. veterinarians worked at the Walkabout Wildlife Park in Calga Springs, Australia. The facility focuses on caring for animals in need and breeding endangered animals to release them back into the wild. 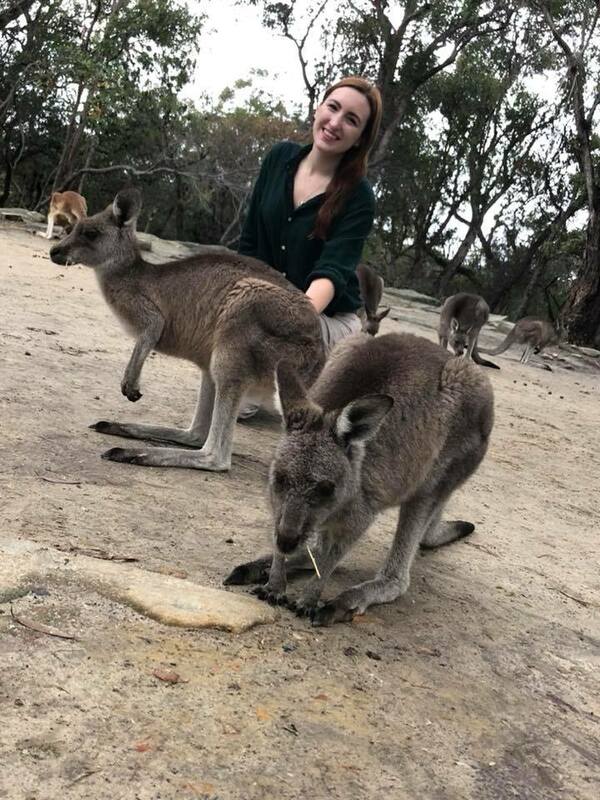 Sirois and her fellow students learned about the anatomy and behavior of animals such as kangaroos, koalas, possums, dingos, turtles and pythons and how to care for those animals in a zoo-like environment. Sirois had previously done a Loop Abroad trip to Thailand and said that she valued the opportunity to learn from rangers at Walkabout and growing her perspective of the world. Sirois noted that growing up in Fort Fairfield, surrounded by supportive family and community members, gave her the work ethic that drives her today. Though her father, Scott Sirois, passed away when she was 13 years old, she said she has always strived to do things that would make him and her mother, Lisa Sirois, proud. She even got to travel to Australia with her cousin, Keanna Daniels, an environmental studies major at the University of Maine at Fort Kent. After she graduates from Becker College in May 2019, Sirois would like to continue working at Wagmore Veterinary Care in Millbury, Massachusetts, where she currently works as a receptionist, to gain more real life veterinary experience before graduate school. She then hopes to study at Cummings School of Veterinary Medicine at Tufts University. She noted that her experiences with Loop Abroad not only gave her great professional connections but also further proof that regardless of where you’re from, you can pursue your goals and go farther than you thought possible.